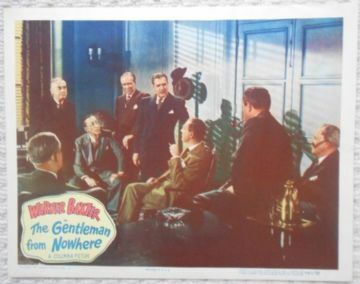 Original 1948 Lobby card #8 from the film ' The Gentleman from Nowhere ' starring Warner Baxter and Fay Baker. 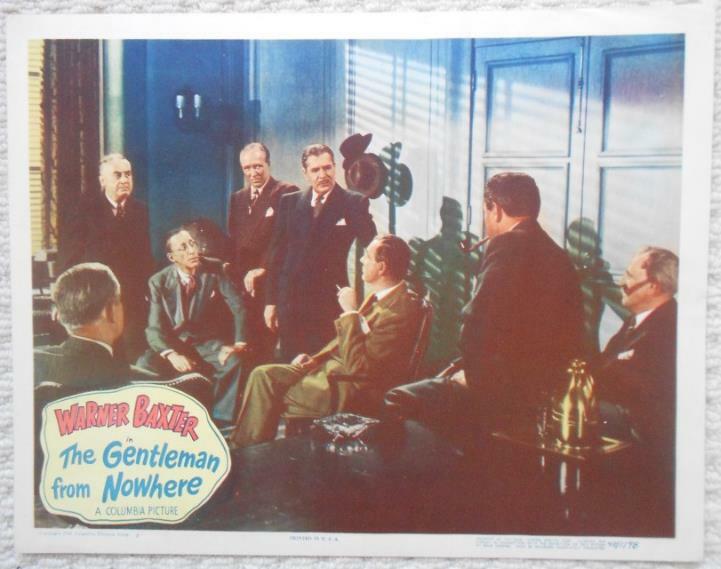 The Lobby Card is in Fine condition and measures 11" x 14". There is a little border creasing top right.